The main line No. 30 Zidani most – Šentilj – state border is part of the railroad line Vienna – Trieste which was built some 160 years ago. 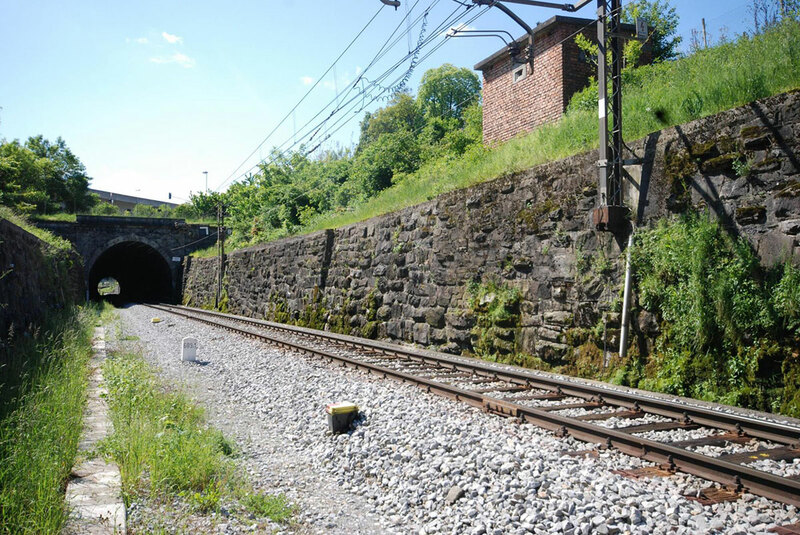 We prepared a refurbishment plan for Šentilj tunnel for the section Šentilj – state border. 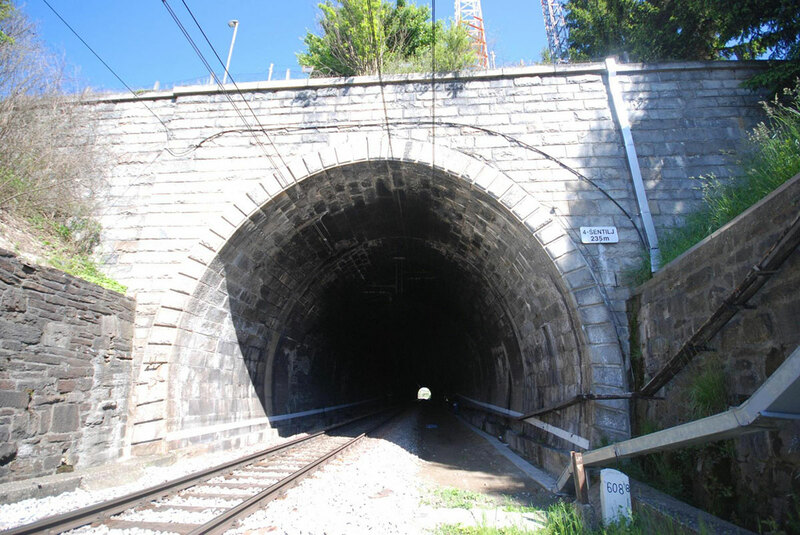 The fundamental part of the tunnel was built at the time when the railroad was constructed. It was subsequently extended, partly damaged, and constructed again. It has been refurbished several times since then. The tunnel is built from alternate layers of stone blocks, concrete and brick building blocks. 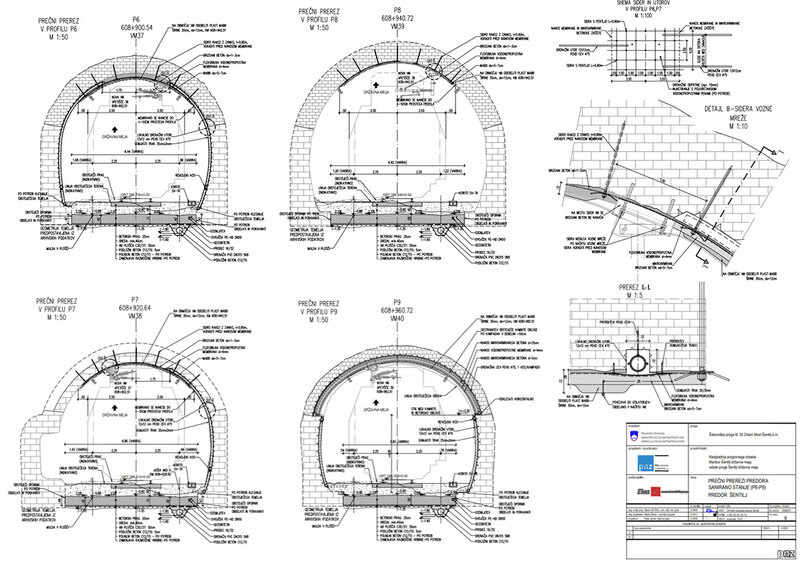 The refurbishment of the arch includes cleaning of the tunnel lining and re-profiling of the lining, filling of openings, injecting stone lining and behind the lining, waterproofing, etc. As the foundation floor is poor, reinforced-concrete floor slabs are foreseen to support abutments and rail tracks. The tunnel runs underneath an existing infrastructure. The overburden height amounts to 6 m. The upper part of the site consists of alluvial deposits which comprise predominantly plastic, fat clays in a solid consistency state. Underneath the clay layer there is a rockmass base of a layer of soft clay marlstone and siltstone with sporadic harder layers.